Patient access at risk: should stakeholders take an orchestral approach? Now is the time to work more harmoniously together to improve patient access to innovative treatments. In case you are not yet convinced that patients’ access to innovation is at risk, I recommend you look at the latest data published by IQVIA in the US – one of the countries with the best access to innovation globally. In the period 2010-2013, payers approved 69% of claims of highly innovative molecules endorsed by the Food and Drug Administration (FDA) in the previous 0-6 months, and 75% of those in the period from 6-12 months. The 2014-2015 cut, only two years later, showed that those numbers had decreased to 39% and 43%, respectively. In other words, more than half of US patients whose doctors prescribed a highly innovative product approved by the FDA in the previous year, did not get it approved by US insurers. Almost 18% of GDP is invested into healthcare in the US1. Pharma dedicates over $2.6 billion and 10-15 years to develop every new molecule approved2. And yet, patients don’t have full access to this innovation and, worse, there is a negative trend. I was thinking about the patient access data and wondering how we in pharma could do better when I joined some friends at a performance of the Los Angeles Philharmonic, which was visiting Symphony Hall in Boston. And I had a lightbulb moment: are we taking the wrong approach in healthcare? Are all the industry’s players – pharma, payers, physicians, policy makers, patients – spending too much time practising as soloists instead of working together as an orchestra? We may feel proud of our own individual jobs. We may even look at each other and be tempted to think that it’s somebody else’s fault that the music of our masterpiece – patient access – is not as melodic as it once was. However, we are not solo players and we own the problem together. Policy makers: Increased life expectancy and population ageing are key drivers of growth in health expenditure. The European Commission’s 2015 Ageing Report projects that by 2060, the old-age dependency ratio (people aged 65 or above relative to those aged 15-64) will have increased from 27.8% (2013 value) to 51.1% in the EU. Beyond dependency ratios, this means that an increasing number of people will be suffering from, and surviving, (multiple) chronic diseases. This increased burden of chronic disease requires a fundamental change on policy levers to improve effectiveness, accessibility and resilience of healthcare systems. Physicians and payers: Estimates from the World Economic Forum highlight that $1 trillion could be saved in healthcare worldwide annually by eliminating inefficiencies and focusing on outcomes. This requires an evolution in how value is measured, and rewarded – i.e. paid – to the different stakeholders in healthcare. A few months back, Humana and United released the results of their value-based care (VBC) models. The bottom line is that health is better, care is better and costs are lower when plans and providers engage in VBC models. United healthcare’s employer-sponsored and individual accountable care organisation (ACO) plans performed better on 87% of the top-quality measures than non-ACO plans; visits to primary care physicians increased 10% and cancer screening compliance was up 8%, and hospital admissions reduced 17%, with ER admissions down 14%. Similar data was published by Humana, which showed a 15% reduction in the cost of Humana’s VBC versus fee-for-service for Medicare patients. Pharma and other life science companies: Disruptive product classes, such as Hep C treatments, cancer immunotherapy, CAR-T or gene therapies have all been approved in just the last five years. An estimated 40 to 45 new medicines, representing new active substances or molecular entities, are expected to receive FDA approval for launch each year through to 2021. It’s critical to acknowledge the potential additional pressure that this could put on healthcare systems. Demonstrating ‘value for money’ is more fundamental than ever, as is working together to share information on when innovation is expected – so-called ‘horizon scanning’. Patients: Today’s patients are more informed, engaged, and connected. Regulatory bodies, such as the FDA and EMA, have already included them as key stakeholders in the decision processes for drug approval. Technology is allowing patients’ active participation in treatment decisions. However, key patient-owned drivers of inefficient use of resources, such as low adherence or incorrect use of medications, are yet to be solved. Average adherence is 50% across therapeutic classes, according to the World Health Organisation. This lack of adherence costs the American healthcare system between $100 billion and $289 billion a year 3. This is too much. 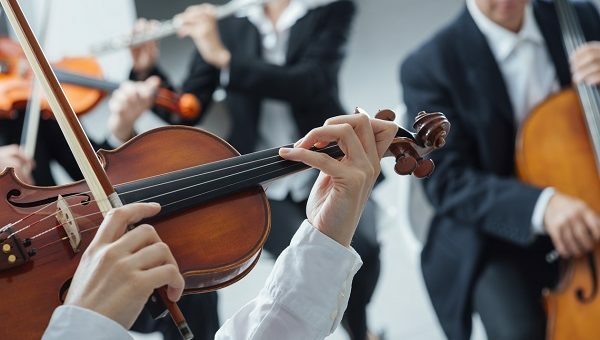 As an orchestra built upon skilful players, healthcare has some of the most talented individuals and reputable institutions in the world. Pharma is also one of the most innovative industries. The evolution of care in the last two decades has been simply magnificent. Now could be a good moment to start working a little bit closer together, sharing data with the available technologies, increasing mutual trust, focusing on shared goals, such as patient outcomes, and improving the melody of our joint piece: patient access. Disclaimer: this article expresses the author’s opinions and not those of EMD Serono, a business of Merck KGaA, Darmstadt, Germany. Ana Céspedes, PhD, MBA, has 14 years of senior leadership experience in healthcare and corporate affairs. 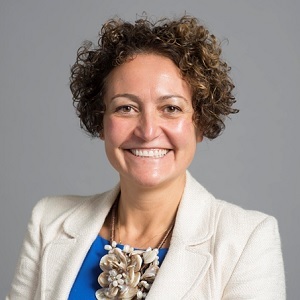 Her particular interests are in new business models and operating excellence, digital acceleration, communications, patient centricity, and building public-private partnerships.